Time to make it official – you want to be a French citizen. No more tracking down paperwork, renewing your visa or rushing to the préfecture. Maybe you’re moving to France and want that comfort of citizenship. Either way, take a look below to see which method of claiming citizenship is right for you. Being a French citizen, you can rest easy knowing that you can stay, live and work in France for as long as you wish. You can also live and work with little restrictions within the EU, including the UK, Spain, and Germany. There are several different ways to become a French citizen, it just requires a lot of paperwork, patience and perseverance. Le droit du sang, (jus sanguinis in Latin) or the ability to claim French citizenship based on descent, is one of the more popular ways to claim French nationality. If one or both of your parents are French citizens, you have the right to apply for French citizenship. Le droit du sol, (Jus soli in Latin) or the right to claim citizenship based on being born in France. Children can demand French citizenship at the age of 16 if they satisfy the above requirements. If an applicant has resided in France for at least 5 years, they be a candidate for naturalisation. The period could be reduced to two years, if the applicant has successfully completed two years at a French higher education institution, or has contributed “significant services” to French society. If the couple has been married for longer than 4 years. If the couple lives abroad, the applicant’s spouse has registered on the French register for citizens abroad. If the couple married abroad, the wedding must be registered on the French civil register. The period extends to five years if the applicant cannot prove that they have lived continuously in France for three years with the required legal documents (carte de séjour etc.). If you qualify for one of the above ways to get French citizenship, now the hard work begins – it’s time to sort out all the necessary paperwork. Depending on the application, the paperwork varies. Called (demande de attribution) in French, this process is fairly straightforward (as applications for citizenship go). The dossier has to be handed into the applicant’s nearest mairie (town hall) in France, or if the applicant lives outside of France, to the French consulate. The key document to the application is proving that the applicant was either born in France or one of both of their parents are French citizens. In this case, birth certificates will be required. If the birth certificate is in a language other than French, it will need to be translated by an official translator. A certificat de nationalité française(certificate of French nationality) may be required for the applicant’s parents, if the child was born outside of France. For a full list of the required documents, head to the French civil service’s website. Depending on the case, the applicant may be required to submit further documents. For the full list, check out the French civil service’s page for more information. When the applicant submits a dossier, with the necessary documents to prove the marriage, the applicant will receive a receipt signed and dated by the council, the judge or consulate. Applicants need to show they have integrated into French society, both professionally and personally, and have acquired sufficient French language skills (with a certificate from a French language institution). Applicants also need to have a deep understanding of French culture, history and society. The livret du citoyen covers the required subjects, which will be tested in a one-on-one interview at the préfecture or consulate. provide certified translations of any documents, if necessary. If the applicant has significant medical problems, a medical examination may be required to complete the dossier. Once all the necessary documents have been compiled, the applicant needs to hand in the dossier into their prefecture, or to the French consulate, if living outside of France at the time of application. The dossier must be handed in within six months of requesting French naturalisation. If you tick all of the boxes of any of the above options, you could find yourself proudly singing the Marseillaise as a newly declared French citizen. It’s going to be a lot of paperwork, but the end goal will be worth it. 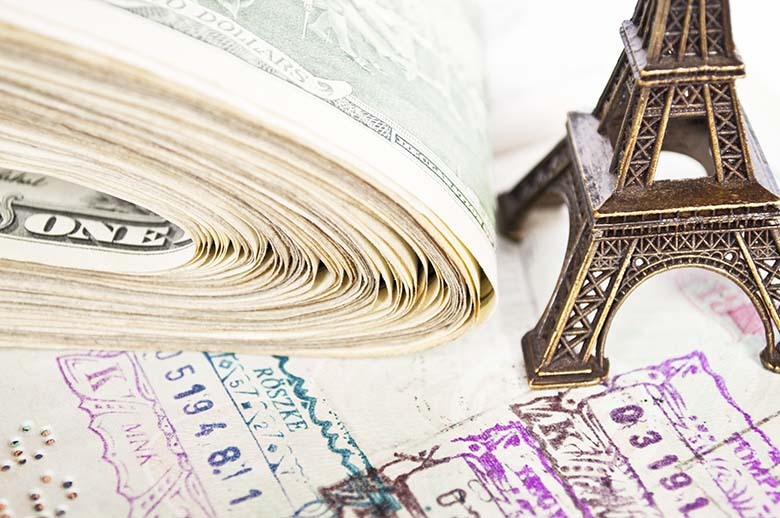 Soon, you could be in possession of your very own French passport, and that is priceless.